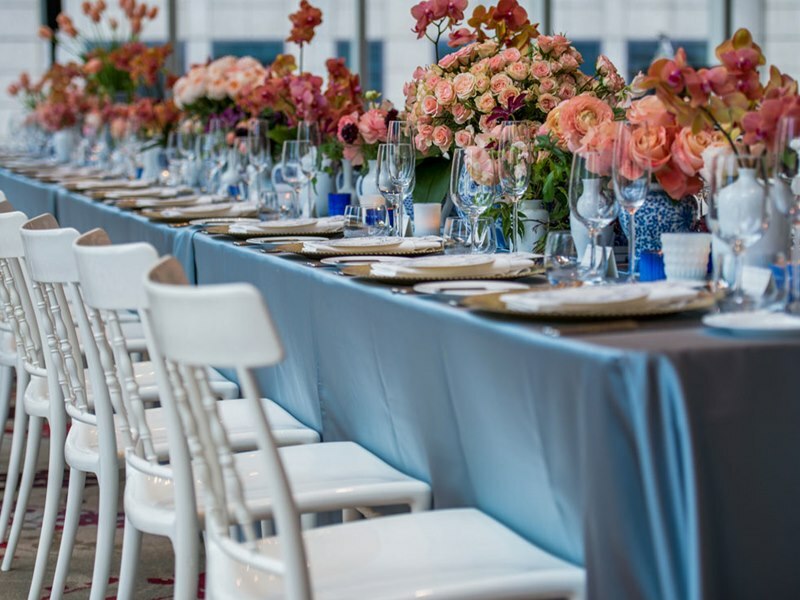 We’ve said it before, and we’ll say it again – there’s definitely no shortage of incredibly talented event vendors right here in the GTA. 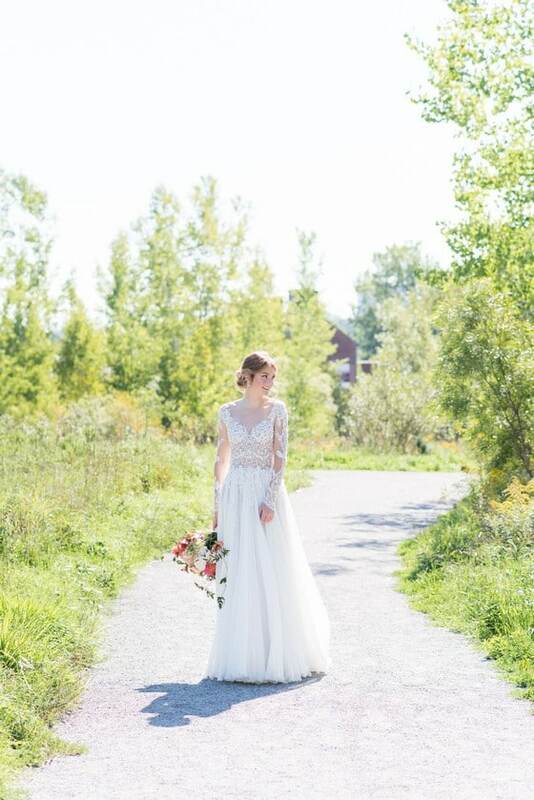 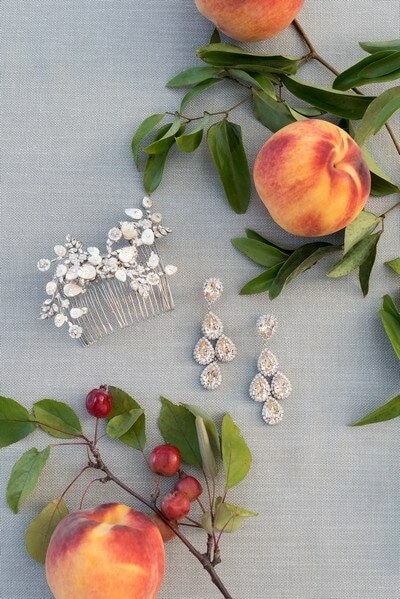 We recently teamed up with over 15 of the industry’s biggest names to put together this oh-so-seasonal styled shoot. 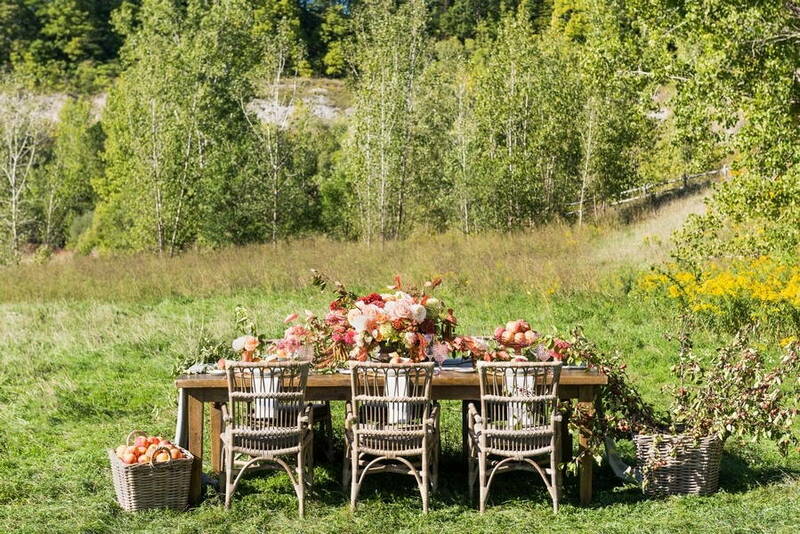 With the weather getting cooler and the colours changing outside, we couldn’t think of a better time to show you our gorgeous Late Summer Harvest Shoot! 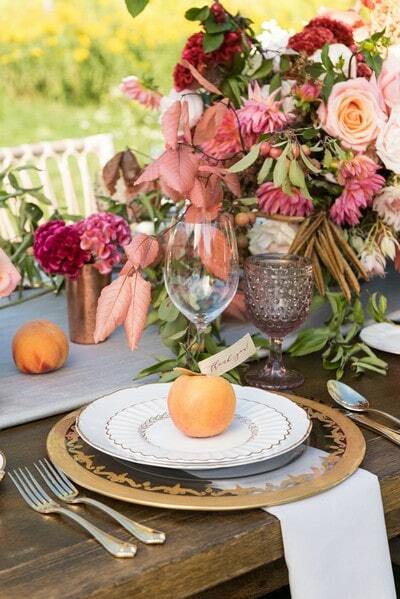 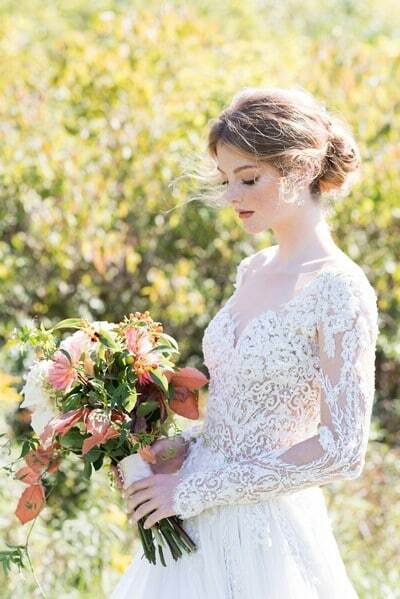 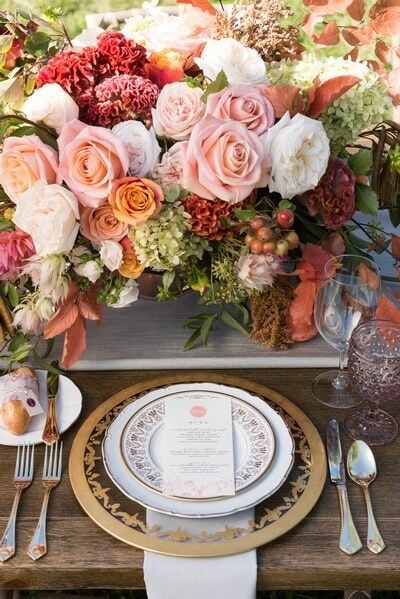 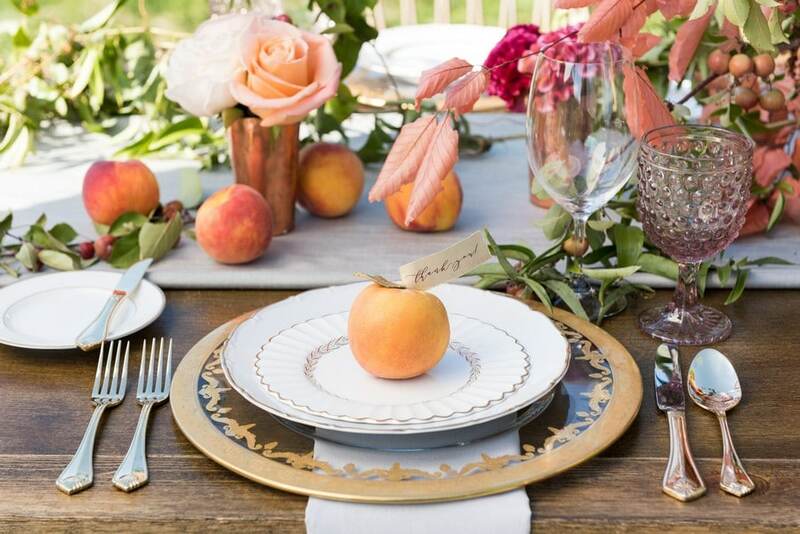 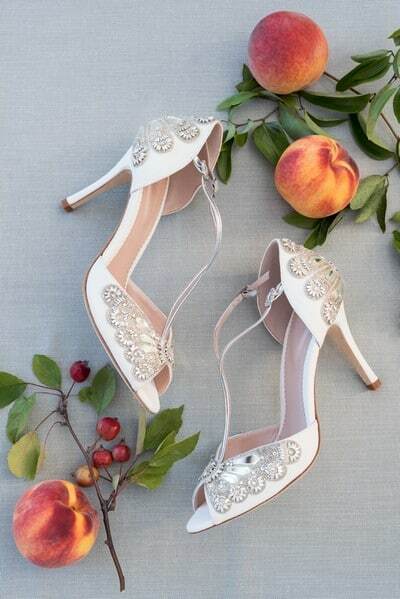 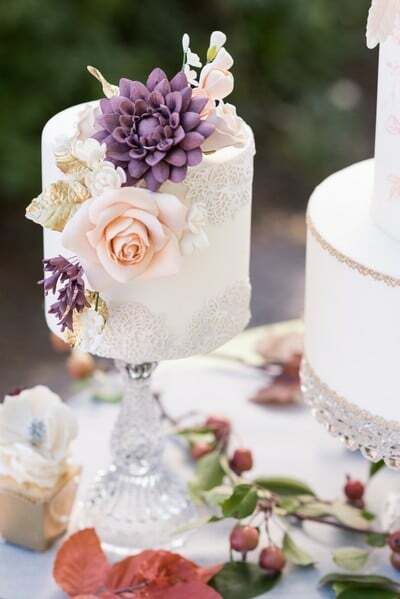 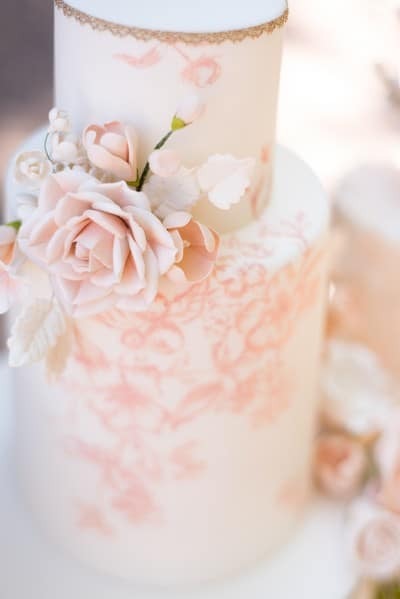 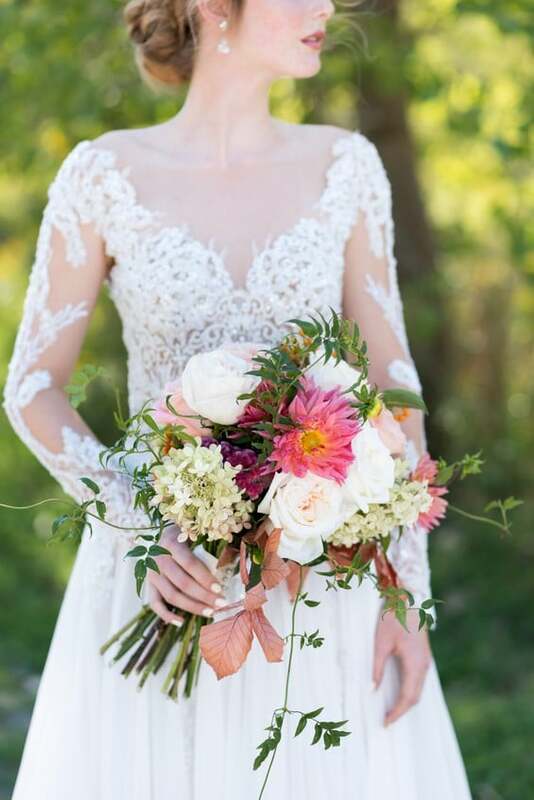 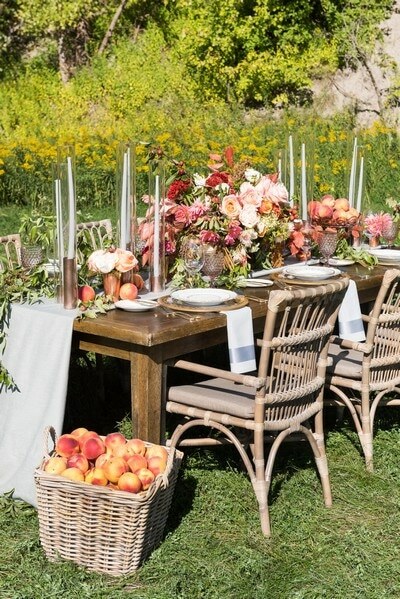 This stunning creative is styled and produced by Ashley Pigott Events, who drew her inspiration from Northern California’s late summer harvest, as well as the late summer peach. 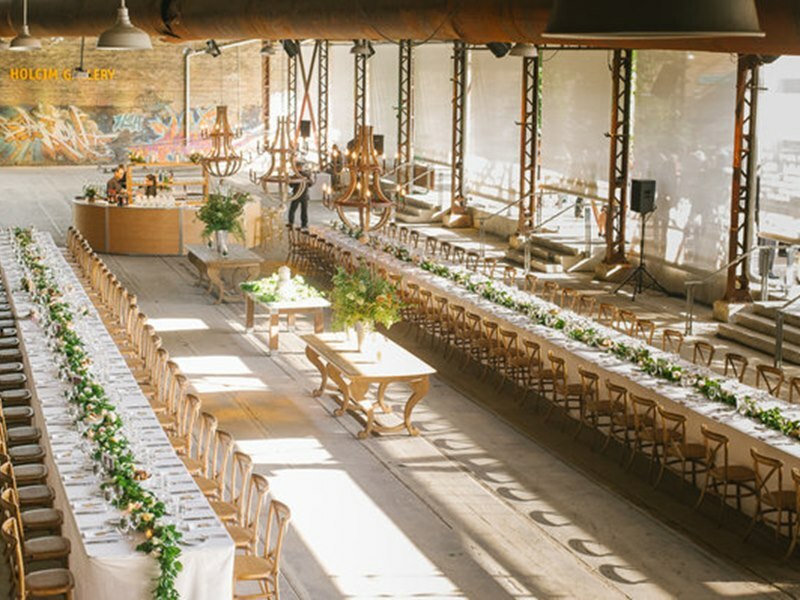 Set in the beautiful grounds at Evergreen Brick Works, surrounded by the lush florals designed by Nous Design Group, you’ll definitely be inspired by all of the golden goodness 5ive5ifteen Photo Company was on hand to capture all of the swoon-worthy (and pin-worthy) details! 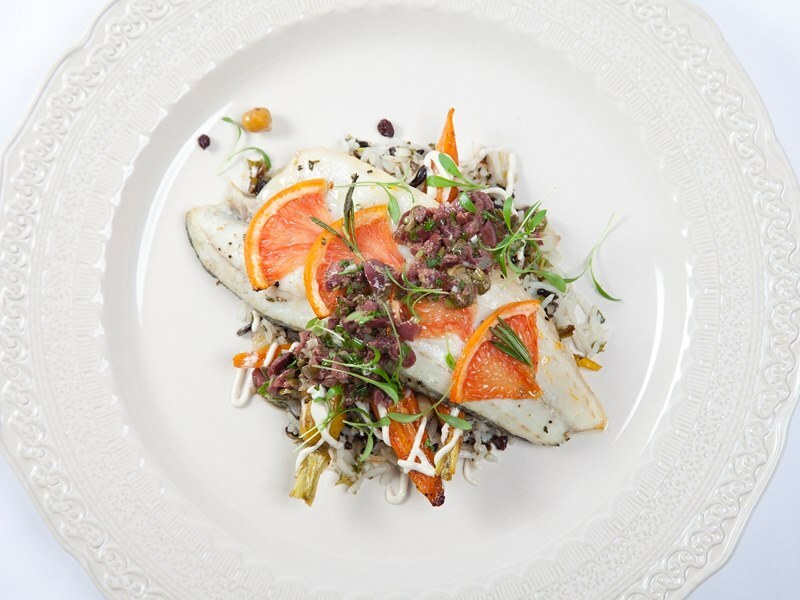 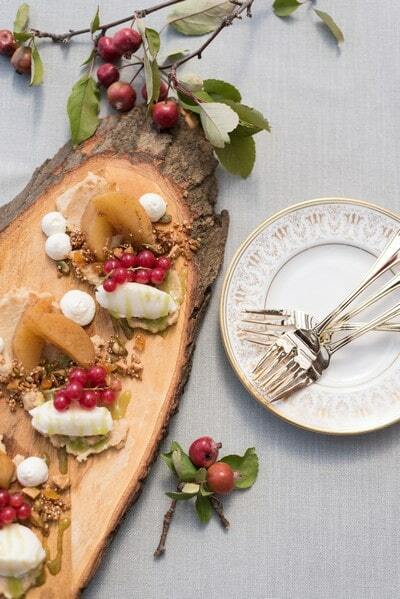 The culinary masterminds at Daniel et Daniel Catering & Events prepared these stunning (not to mention, delicious!) 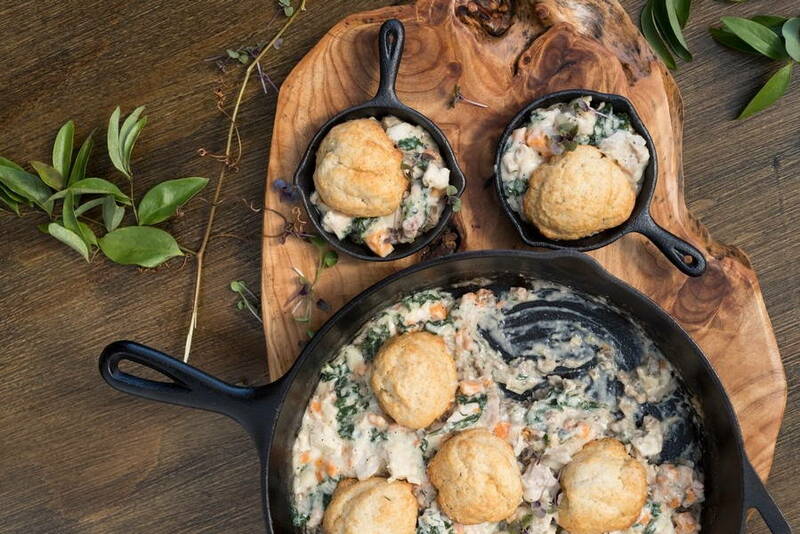 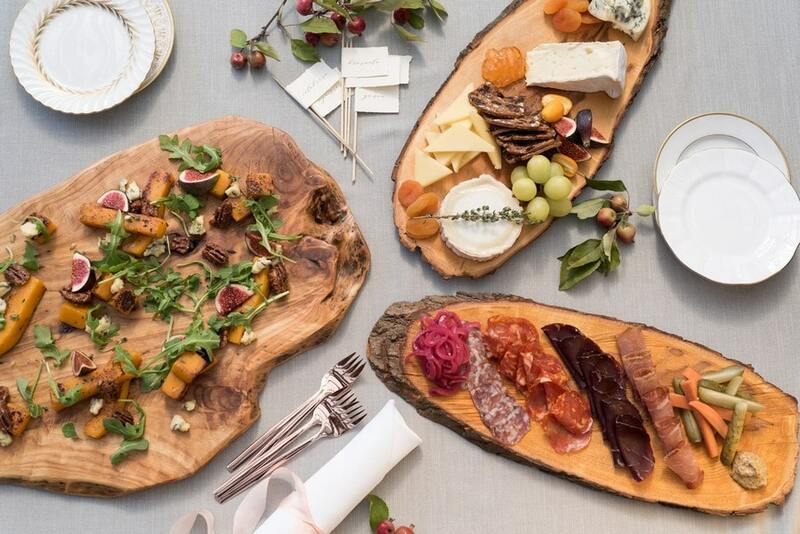 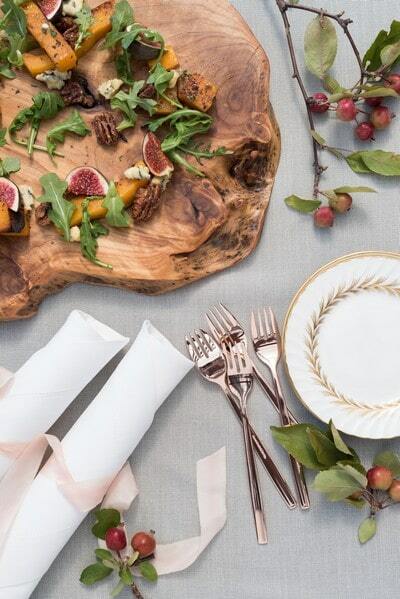 food platters that paired perfectly with the shoot’s pretty details. 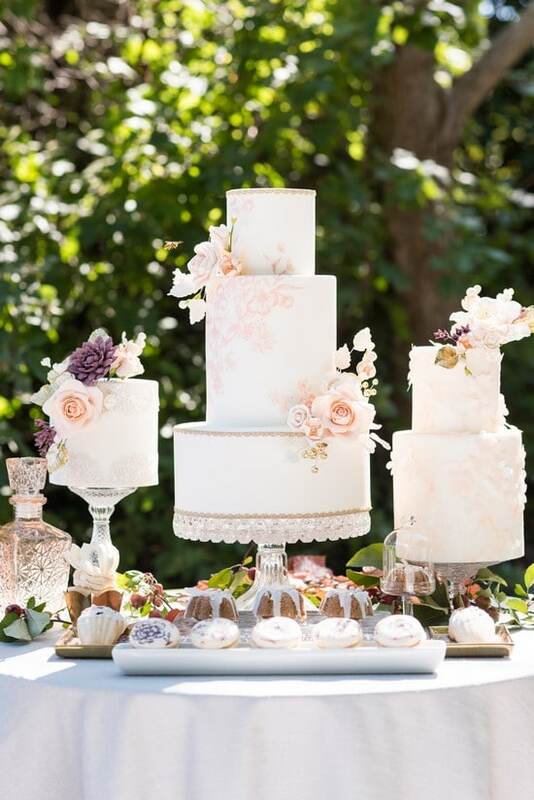 The charming cakes by Truffle Cake & Pastry were a sweet addition to the eye candy feast. 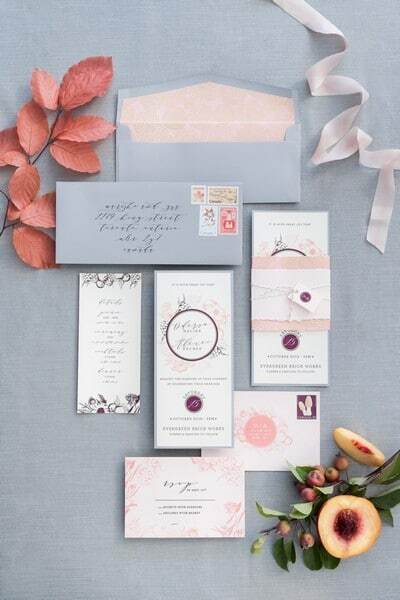 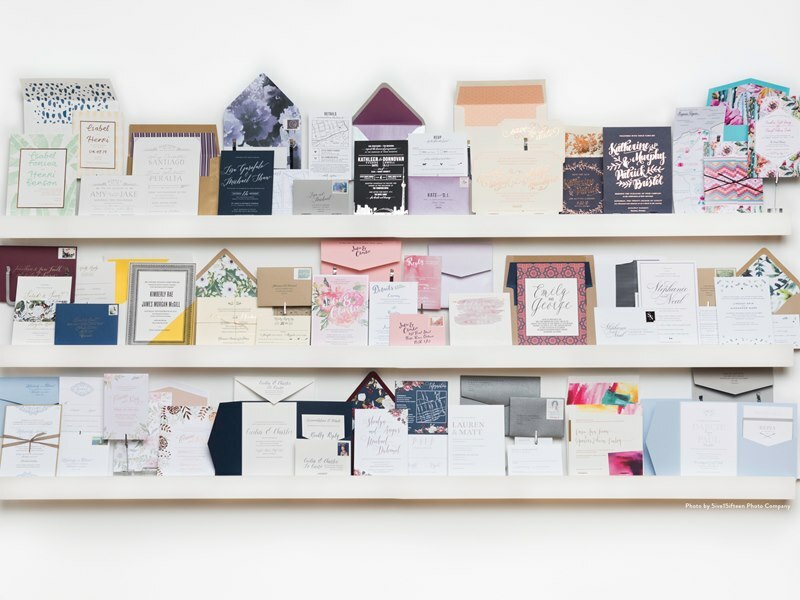 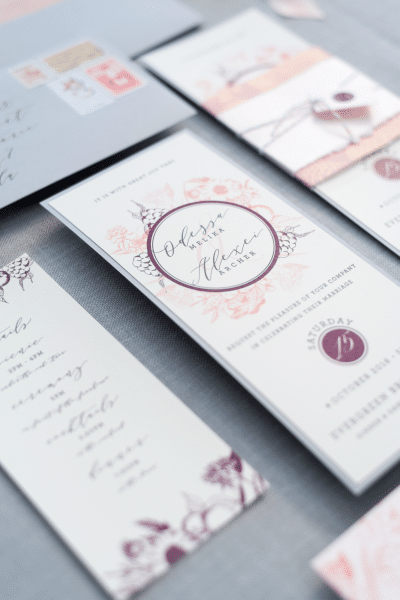 The gorgeous on trend design used a natural mix of organic elements that contrasted with more formal and elegant components – all set in a sea of a soft peach palette. 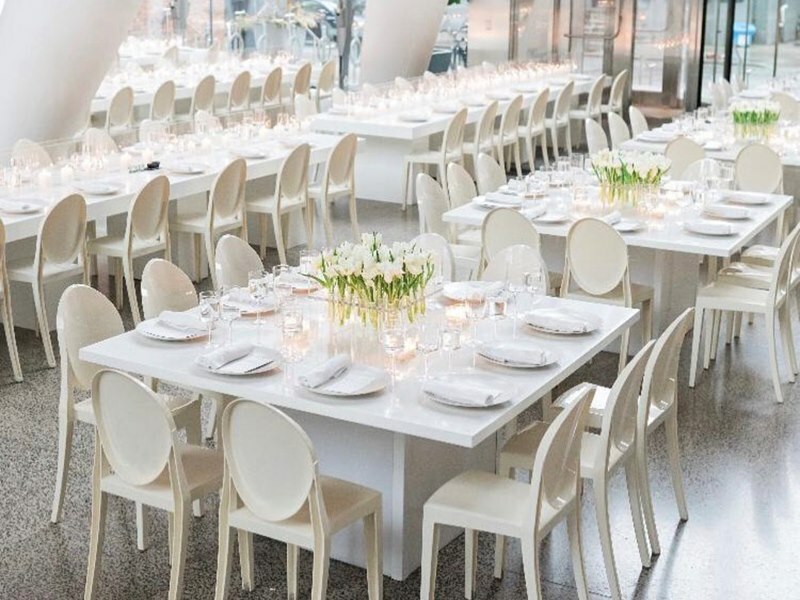 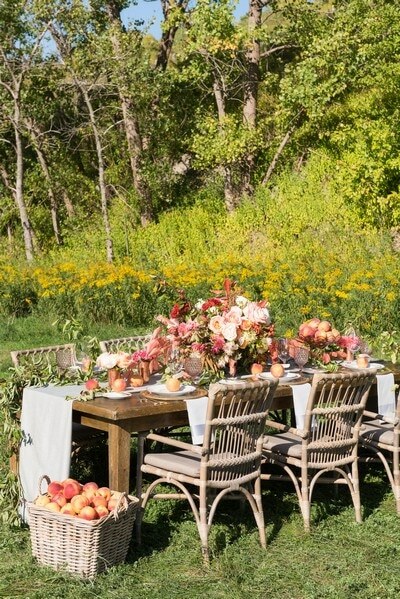 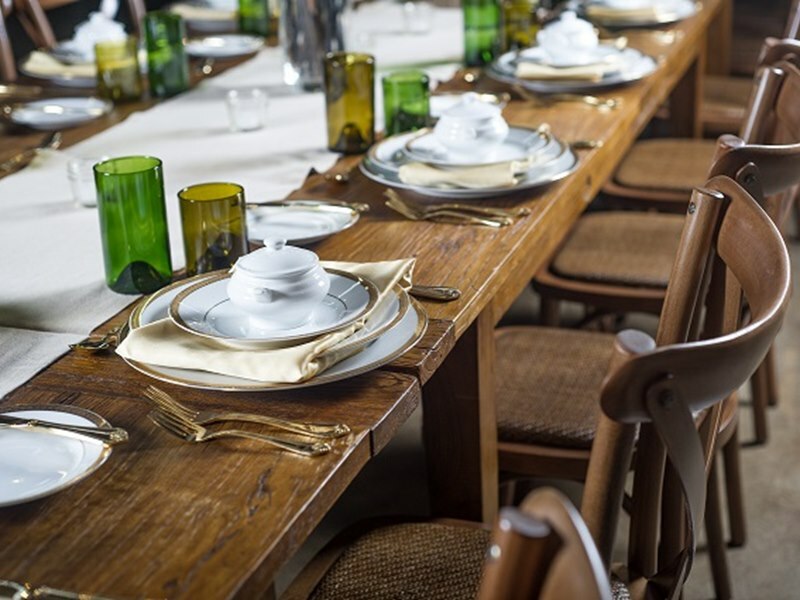 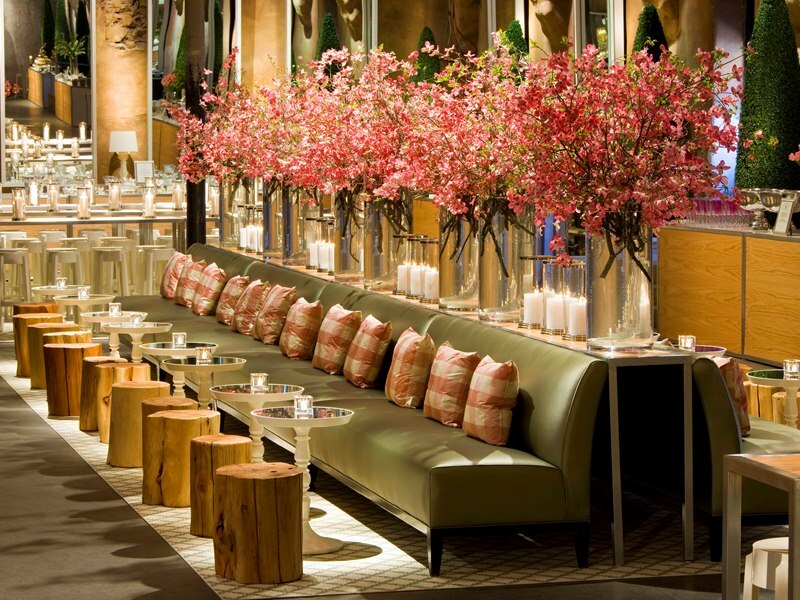 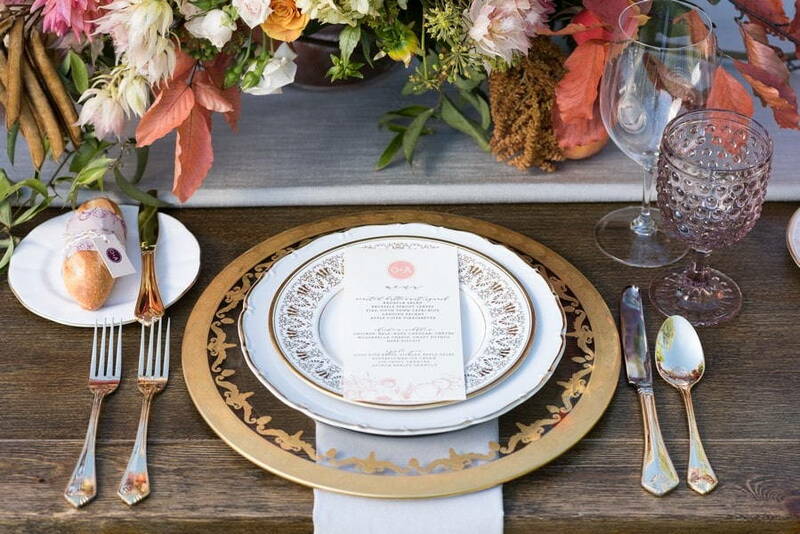 A rustically chic table from Detailz Couture Event Rentals along with festive cutlery, glassware, and dishware from Event Rental Group and Plate Occasions completed the idyllic harvest scene. 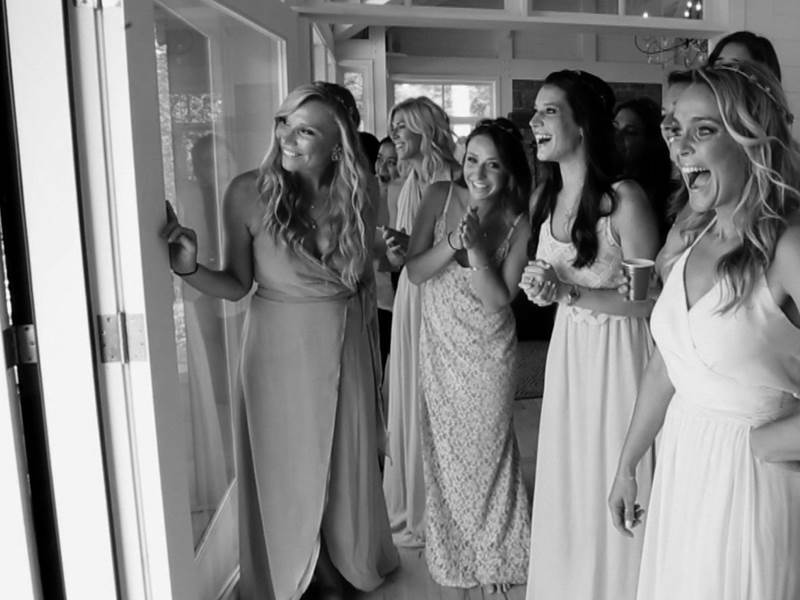 Don’t miss the behind-the-scenes footage put together by our friends at Images Life Media.